BITX DIGI-TIA Build Update #6: Boxing it up! Socketry along the back (Antenna, 12V, external amp T/R control, Speaker, MAYBE: IF connection). Relay wiring (I'm trying to do this with just 2 DPDT relays: one for Low Pass Filter switching and External Amp T/R control, and one for 12V T/R switching, ﻿and Bandpass Filter switching. I have the RF amplifier stages done, and I worked a bit on the shielding. This circuit board will be along the back, turned around, with the copper-clad shields between the amps and the rest of the rig. In the picture you can see the small inter-stage shields, and one that put between input and output on the final. All this in the probably vain hope of avoiding the Agony of Oscillation. We'll see. So far so good. I get about 8 watts out of the IRF510 on 40 meters. 53db total gain for the three stages. Of course, all this will likely change once the rest of the rig, the LP filter and an actual antenna are added. Lots of progress over the long weekend. Along the back you can see the three stages of the RF amplifier chain: 2N3904, 2N2218A, IRF510. I intend to add inter-stage shielding, and one long shield between the chain and the rest of the rig. Front and center is the Si5351 board (code by LA3PNA). Mic amp (which gave me a lot of trouble!) is to the right of the Si5351. AF (RX) amp is to the left (2N3904 and LM386). The big board in the center has the three Termination Insensitive Amplifiers (thanks Wes and Bob), the 9 MHz filter (thanks Steve Smith!) and the two SBL-1 mixers (thanks to Pete Juliano for the "mil-pad " boards). And thanks to Farhan for the overall BITX concept and the TIA suggestion. Thanks for the sage advice. You are absolutely right, I should stick to the plan and finish the project before tromping off in a different direction. Anytime I've ever changed designs before I have completed a task, usually results in something far less than expected. The real joy is completing a project and looking back at what was accomplished. 1. Build it from SCRATCH - Manhattan Style. 2. Start with modular construction - so that each circuit can be tested, troubleshot and modified in the future. 3. SMA connectors and coax to every stage so, I can divide and conquer the function of all modules. 4. Document the entire journey so I can actually see where my learning's took me. 5. Provide myself, a basic building block for future transceiver construction and designs. 6. Improve my skills, techniques and knowledge through my mistakes and understandings. 7. Learn to SLOW DOWN, study, plan and write, in my own words, what the circuit(s) do and how they function. 8. Be a mentor to others and share what I have learned. 9. Be more of an Amateur Radio Experimenter and less of a Ham Radio Operator. 10. Continue to dream and design. Each day should be NEW and EXCITING. There should be a thrill in every step of the way, even in the midst of failures. Thanks for the encouragement and sharing what happens on your own bench. Pete and I both spotted the ads in QST for this company and their little HF receiver. In the finest tradition of Tuna Tins and Herring Aids, that receiver is in a SPAM can. FB. That USB port on the front panel has already come in handy. I needed to switch the tuning increment from 1 kHz to 100 Hz. I just went into the Arduino program, removed one zero, and then re-uploaded the code. I also put to use the sideband inversion rule-of-thumb: My IF is at 9 MHz. I want to receive signals in the 7.2 MHz range, and I want the VFO running ABOVE the IF frequency. So obviously the VFO will be running at around 16.2 MHz. So, rule-of-thumb time: Will I be subtracting the frequency with modulation from the frequency without modulation? Yes I will! So, there will be sideband inversion. This tells me where to position my BFO frequency. The signals on 40 start out as Lower Sideband. But as explained above, by the time they get to the filter they will be inverted and will be upper sideband signals. So I need to put the BFO slightly BELOW the filter passband so that I can tune the signals in such a way as the sidebands fit into the filter passband and have the proper frequency relationship to the BFO to allow for demodulation. I put it at 8.9986 MHz. With the Si5351, changes to the BFO and VFO frequencies are very easy. Termination Insensitivity is not a personality disorder! SPRAT cover AD9850 in 1988! Three cheers for SPRAT (and QQ and QST). Termination Insensitivity. It sounds like some sort of psychological problem, but it is not! I started building the new transceiver today. I am tentatively calling it the BITX DIGI-TIA. Digi because it will have at its heart an Si5351 for BFO and VFO signal generation, and TIA because it will use Termination Insensitive Amplifiers (TIAs). These TIA amps are designed to present a 50 ohm impedance not matter what impedance you connect to the other end. This is a very useful feature when you are trying to get a certain impedance for a crystal filter in a bidirectional rig -- you want the same termination impedances in both directions. I built the "top" halves of two of the TIAs, using CNC-cut boards given to me by Pete Juliano. Thanks Pete! I like the boards, and I no longer have a thick coating of dried SuperGlue on my fingers. Current draw at 12 V (no signal) 30 ma. Gain at 9 MHz (no load): Amp 1: 27.2 db Amp 2: 26.5 db. I then took a 110 ohm load and put it across the output of Amp 1. Gain dropped to 23.9 db (as you'd expect). BUT HERE'S THE GOOD PART: The input voltage from my homebrew sig generator stayed exactly the same. Termination insensitivity. Next I'll put the 9 MHz filter between these amps and measure the shape of the filter passband. IF Selection -- Which Filter for the New Rig? With some prodding from Pete Juliano, I am moving forward on my next transceiver. Same wood box enclosure (with copper flashing), but this time I am greatly relaxing some of the radical fundamentalist restrictions: Chips will be allowed. VFOs and VXOs will be replaced by an Si5351. Filters will not have to be homebrew. Pete has been putting his CNC machine to use and making me some nice boards with isolation pads already milled in. Oh, the luxury! 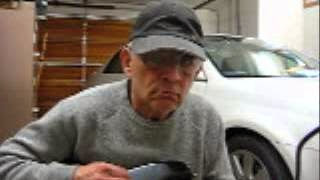 I am going to use the Termination Insensitive Amplifiers designed by Wes Hayward and Bob Kopski back in 2009. These are especially useful in bilateral type transceivers because they allow you to nail down the termination impedances on the crystal filter IN BOTH DIRECTIONS. That's is important if you want the same filter shape on both transmit and receive. My main band of interest for this rig is 40. But if possible, I'd like to be able to use it on 15 and 12 meters, and maybe even 20 and 17, hopefully without having to change filters. So what say the gurus? Which one should I use? Or should I put two of them in there, with provisions that would make it easy for me to move from one to the other? Right now my inclination is to go with the 9 MHz filter, perhaps with the 3.395 MHz filter also available. 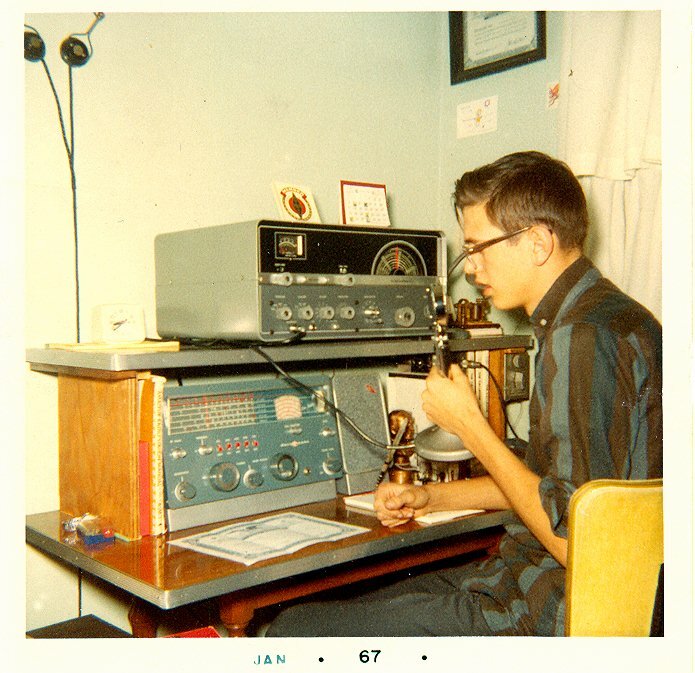 Joel Hallas, W1ZR, (aka "The Doctor") has an especially good column in QST this month. He takes on a topic that has confused (and re-confused!) 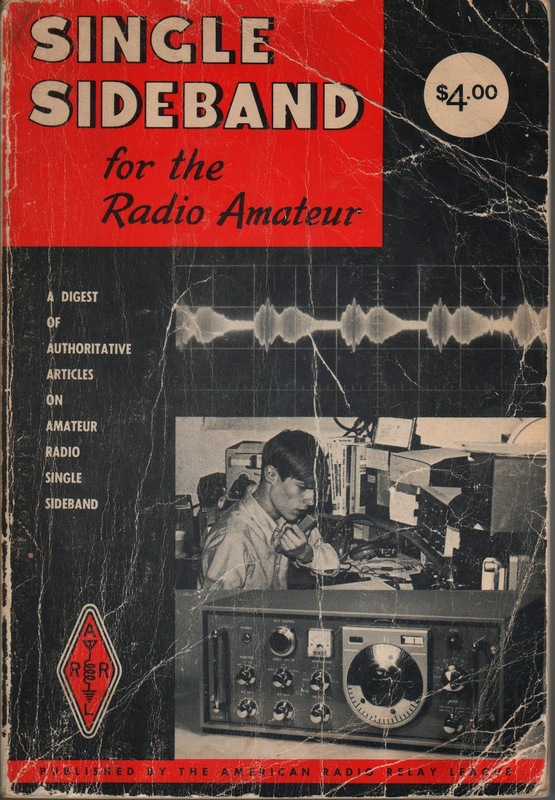 many of us: sideband inversion. Simply put, if you have a single sideband signal, and you put it through a mixer, depending on the frequencies involved and on whether you take the sum or the difference product of the mixer, the sideband may or may not get INVERTED! You could start out with an UPPER sideband signal coming out of your sideband generator, then, after you mix it with your VFO (or Si5351!) you end up with a LOWER sideband signal. This can be quite an unpleasant surprise. "Sideband reversal occurs in mixing only if the signal with the modulation is subtracted from the signal that isn't modulated." Words to live by my friends. Words to live by. The confusion on this topic often arises in discussions of the old scheme of using a 5 MHz, 9 MHz filter/VFO combination to generate LSB on 75 meters and USB on 20 meters. This is very convenient, but you need to remember Joel's rule to get this scheme right! If you start out with a sideband generator putting out UPPER sideband at 5 MHz. 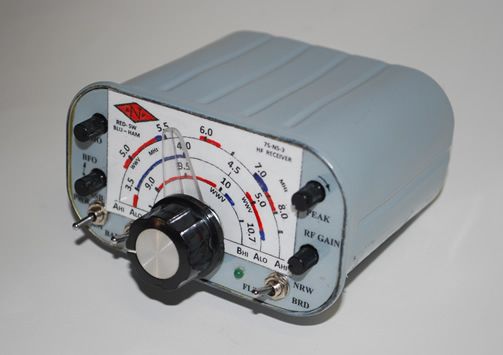 and mix it with a VFO running at 8.5 -- 9.5 MHz, for 20 meters you will take the SUM of the two frequencies. So no sideband inversion. You will be happily on 20 meter USB (the mode used on that band). For 75 meters you will be SUBTRACTING the SIGNAL WITH THE MODULATION (5 MHz) from the SIGNAL WITHOUT THE MODULATION (8.5-9.5 MHz). So, following Joel's rule you WILL get sideband inversion. Here you will be on 75 meter LOWER sideband (the mode used on that band). It is easy to get confused on this. I got confused when Steve Smith sent me a 9 MHz filter out of an old Yaesu. I had visions of using the old 9 MHz 5 MHz scheme. But no.... With a 9 MHz sideband generator, you can get on both 75 and 20 with a VFO running at 5 to 5.5 MHz, but you won't get the nice sideband inversion situation described above because with neither band will you be subtracting the signal with modulation (9 MHz) FROM the signal without modulation (5-5.5 MHz). It was very nice that Joel admitted to falling victim to this kind of confusion himself in a column he wrote years ago. Here I take my Drake 2B -- arguably the quintessential Hardware Defined Radio -- and connect its first Intermediate Frequency circuitry to an RTL-SDR Dongle, allowing me to digitally process, filter, and display (panoramically!) the signals being inhaled by the ancient receiver. Another cool tech twist: To get at the 455 kHz IF signal I use the "Q-Multiplier" jack on the back of the receiver. This connector was put there to allow for the use of a selectivity enhancing regenerative stage. So I'm using that connector for a similar purpose, but using technology that wasn't even being dreamed about when that Drake 2-B was being designed in 1961. Alf, VK2YAC, wrote to Pete thanking him for the inspiration provided by the LBS project that Pete and Ben launched via QRP Quarterly. Alf has obviously taken to heart Pete's recommendation re using a BIG breadboard. On his web page Alf writes: "Build your homebrew station and join the revolution, it's lots of fun!" We're with you Alf! 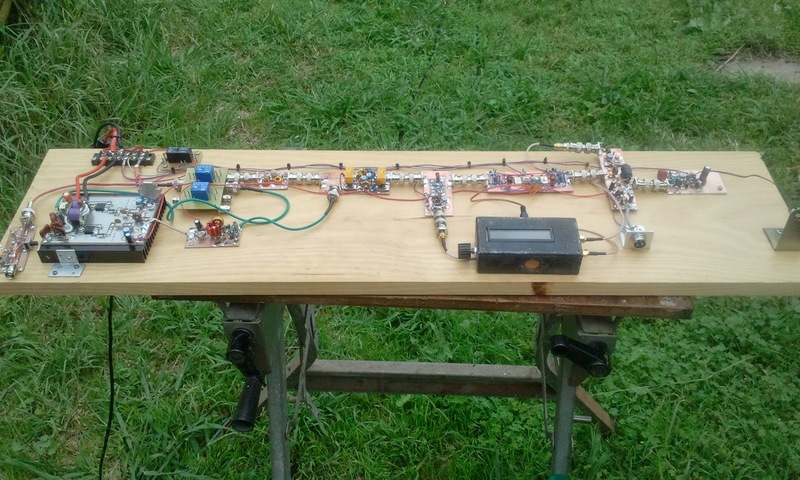 Alf has more great pictures of his BBR-40 rig and short descriptions of the sub-circuits he has used. Note Si5351 with Arduino Pro-Mini for BFO and VFO.